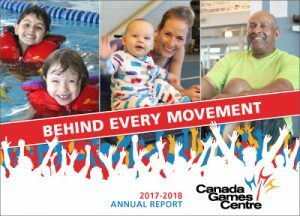 As we look back at another great year, we take a moment to highlight the many moving pieces and inspiring individuals behind the CGC community, the energy you feel when you walk in the building, and the overall success of the facility. 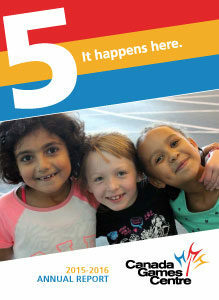 In our sixth year of operation, our commitment to the community continues to grow deeper. We are excited to share our year of accomplishments, new community partnerships, events and healthy active living with you! This year, we celebrated our fifth successful year in operation and hosted a fifth birthday party with members, friends, staff and our community. Thank you to everyone who has helped us make the CGC what it is today! 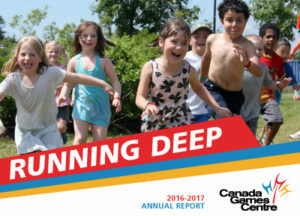 As we set out in 2014-2015 and our forth year in operation, we wanted to continue to build a healthy community and share the stories of inspiration from our members, partners, visitors and staff. With your help, we have accomplished so much over the past year and would like to share those achievements with you. In 2013-2014 we wrapped up our third year of operation with continued success. 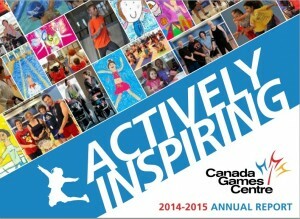 Building on what we learned to date, the Canada Games Centre is poised to move forward. Our success stems from you and we are committed to exceeding your expectations. 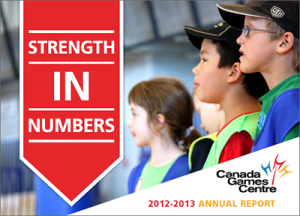 We’re pleased to present this year’s report titled “Strength in Numbers”. It’s appropriately named this because it pays tribute to the continued success we are receiving, with much thanks to YOU. Have a read and watch the videos that celebrate the past year. It’s been a busy first year of operations, packed with many milestones and successes. We’re on track for a fantastic second year. 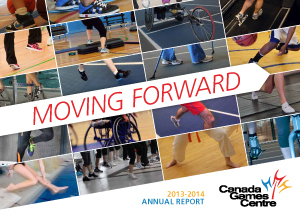 View our first-ever Annual Report.